If you asked to describe a quintessential dinner date ambiance, I might well lead you to Giuseppina in Sunset Park, Brooklyn. Dark wood, exposed brick, and aesthetically placed wine bottles are perfectly basked in candle light and the fire from the pizza oven. The tables are large and uncharacteristically well spaced for New York. With attentive, but unobtrusive, servers its easy to slip into your own world. Though if you, or your date, aren’t in the mood for pizza or calzones you’d better steer clear, as that’s the extent of the menu–no antipasti, no salad, no desert. In an effort to branch out from our usual Park Slope haunts, Iggy and I swung into Giuseppina’s almost at random. While waiting briefly for a table, we learned from the articles posted near the door, that Giuseppina’s is sister restaurant to Lucali (a restaurant in Carroll Gardens of similar design and occasionally frequented by Jay Z). While the menu choices may be spartan, the prices are not. Pizzas and calzones start at $22 each. Regular toppings are $3 and, on my trip, special grilled artichokes were available for $8 and a hot and sweet sausage for $6. Iggy and I opted for a pizza with shallots and the special sausage, also electing for the free garlic and basil additions. The pizza, with a thin crust and an unsweetened sauce, was good, but not great. Anything special about the $6 sausage, aside from the price, was lost on me. A glass of wine, a beer, and a two topping pizza set us back $50, pre-tip. The pizza was solid, but given the extremely limited menu I expected more. The cost-value equation just falls flat. However, its not just Jay Z who appreciates this uniquely New York style of pizza. Through our dinner, there was a constant wait for new seats and more than a couple takeout pizzas left the restaurant. People seem to love Giuseppina’s for more than just the atmosphere. Given Giuseppina’s proximity to Toby’s (who manages to present a full menu and provide more flavorful pizzas at a lower cost), I am happy in my belief that everyone is entitled to their own incorrect opinion. I’m happy for the denizens of Giuseppina’s to leave the amazing pizza and table space at Toby’s for me and my friends. For Christmas, I decided to get my friends Stu and Fayaz the ultimate hot sauce experience. 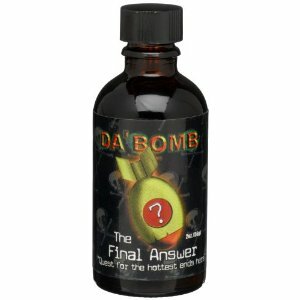 After some fairly extensive internet searching, I came across the answer: Da Bomb Final Answer. At 1,500,000 scovilles, asking what Da’ Bomb tastes like is like asking what a kick to the head tastes like. There is no flavor, just pure unadulterated burning. Stu was the first to give the stuff a try. (Stu is an Indian with a heat tolerance that puts most to shame. Where others use drops, she treats hot sauce like ketchup.) Her first attempt ruined her takeout noodle dish. A couple of drops and her noodles were too hot for her to eat, even after rinsing them in the sink. Her next attempt to use the stuff quite possibly landed her on the terrorist watch. In trying to cook with it, she ended-up essentially pepper spraying her apartment, sending her and her roommate running for fresh air. I took several beers over a poker night before I was dumb enough to touch this stuff. 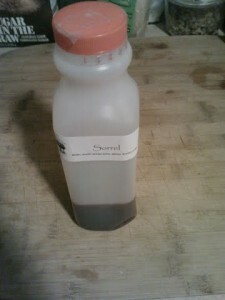 The cap comes equipped with a dropper to facilitate proper serving sizes. Iggy and Matt were the first to brave the heat on a brat. Somehow, after watching their pain, Matt and I decided it would be a good idea to try a drop straight on a chip. As I chewed and swallowed I felt my head start to swim and my capacity for rational thought diminish. My whole head was engulfed. I drank milk strait from the jug, despite realizing it had expired a week ago. But the only thing that seemed to give any real relief, all be it very fleeting, was ice cream. As Matt’s and my pain subsided, disaster struck Iggy. In moving the bottle, she some how got the hellish mixture on her hands which turned bright red and burned for hours. This stuff is no joke! The only rational use seems to be as a food additive–perhaps my next batch of chili, if large enough, will be heated with this insanity. 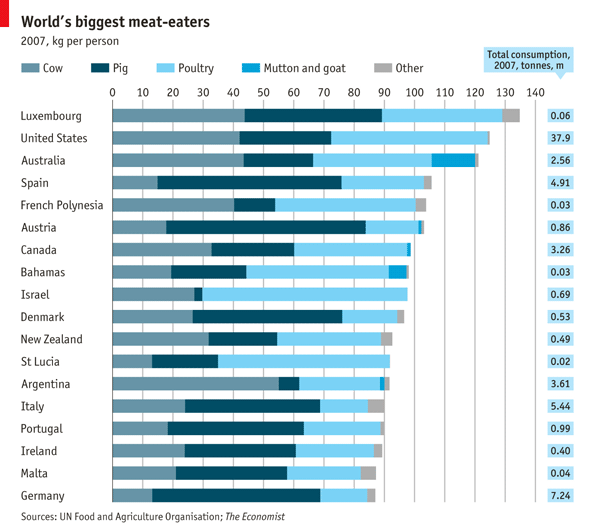 Read the full article on The Great Kobe Beef Lie from Forbes magazine. And don’t think that American stuff is the same. After reading the above, my conclusion is that you can get still get some amazing beef here in the States; but, the Kobe name is not a guarantee of quality. Why is a jalapeño hot? Why is a habanero hotter than a jalapeño? What are these scovilles that Loren and Arthur keep taking about? The magic of heat comes from capsaicin, the chemical compound in chilies that makes them hot. This stuff creates actual burning. It’s not a flavor (like sweet or sour) but an irritation of the skin. If you took pure capsaicin and left it on your skin, not only would it hurt like hell, but it would cause blistering after 30 seconds or so. Plants evolved capsaicin to deter us mammals from eating certain plants. More particularly, to stop us chomping down on plant seeds and making them unable to germinate. Unlike mammals, birds aren’t irritated by capsaicin. Not so coincidental, birds also don’t smash seeds when they eat them–leaving the seeds able to germinate when they later poop them out. The evolutionary pressures for developing hotness is clear. Some chilies have become atomic, while others have a light burn. We measure heat on the scoville scale. A nice jalapeño comes in between 1,500 and 8,000 scovilles, a good habanero clocks in at about 250,000, and the insane ghost pepper comes in around a 1,000,000. Pure capsaicin destroys mind and body with 16,000,000 scovilles. I found these little beauties in the olive bar at the local Bylery’s. For the non-Minnesotans out there, Byerly’s is an upscale grocery store, kind of like a whole foods but without the commitment to natural/organic food. The kind of place your grandmother shops at, as long as her IRA is well funded. Anyways, I was looking for some olives and the helpful lady behind the counter suggested I try these flaming red beasties from South Africa. I popped one in my mouth and knew pretty much instantly that they were going to become a recurring item in my cooking. The taste starts out sweet and a little fruity, sort of like a red bell pepper. The next thing you taste is the vinegar from the pickling brine, and finally that heat from the chili pepper. The peppadew variety of chili peppers weigh in around 1,200 scoville units, so they have some heat to them but are not as hot as something like a jalapeno. I would definitely serve them confidently to my mother, but maybe not my grandmother, if that’s a useful guide. While I will definitely be thinking up more uses for the peppadews, the first thing I went for is stuffing them. Really, I think that is a natural first thought when you look at the peppers. They’re about the size of a cherry tomato, but completely hollow, with a little hole in the top. Tell me that’s not made to stuff with garlicky cheesy goodness? 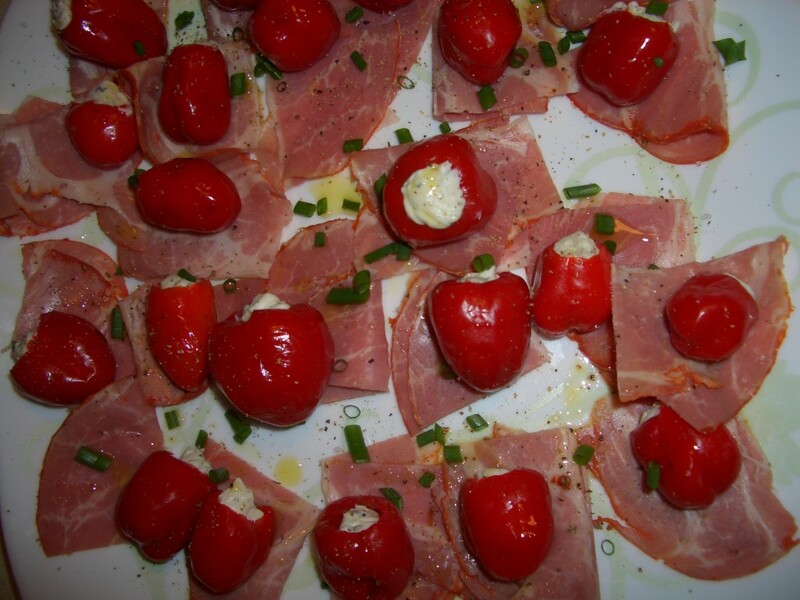 *Editors note:Upon further review, this is definitely everyone’s first idea of what to do with peppadews. 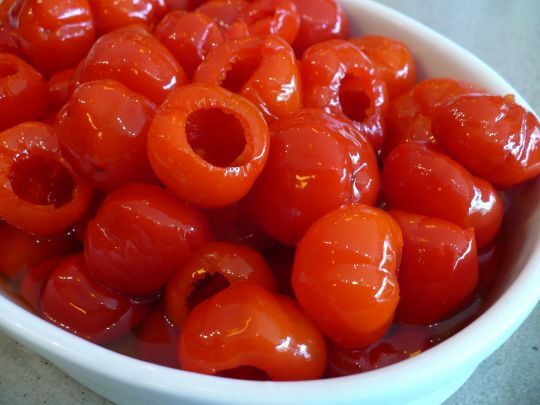 Seriously, do a google image search for peppadew peppers and see what I mean. The cheese stuffing for these was based on the stuffing for the oven baked jalapeno poppers from a previous post with a few modifications. 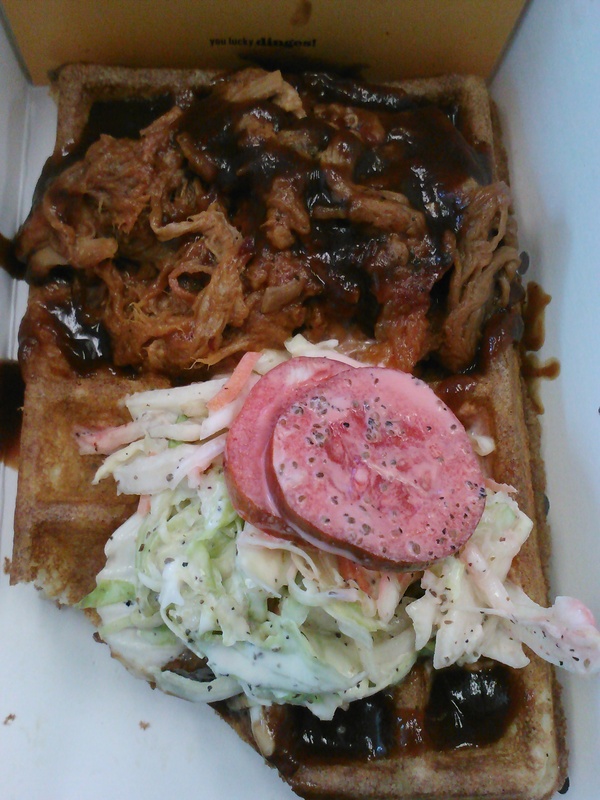 First, nix the bacon. I’ll give you a second to wrap your mind around that. Seriously though, not everything needs bacon in it, and on this particular night we were also grilling so we could get that great smoky flavor in another course. Next, it needs to be a little thinner as a mixture so you can easily pipe the mixture into the peppers. To that end, I added a little bit of milk and olive oil. Mix the above ingredients together in a bowl, then use a rubber spatula to scoop all of it into a bag you can use to pipe it into the peppers. For our more bourgeois readers, you have a pastry bag with your choice of piping tips. For the rest of us, grab a ziploc bag and snip off one of the corners. Be sure to start out with a small hole in the bag; you can always make it a bit bigger but you can’t make it any smaller and it is a pain to try to take the cheese mixture from one bag to another. Pipe the mixture into the peppers, then figure out how you want to serve them. They would be just fine by themselves I think, but this time I served them with some hot capocollo which was a nice compliment. Next time I think I’m going to slice out some ribbons of pruscutto and wrap those around the peppers. At a recent poker night, a friend brought over something new for a mixer. Based on it’s appearance, I expect something sweet and fruity. I was shocked by my first sip. Rather than a simple sweet juice, I was smashed with a wave of decadent spices: cloves, nutmeg, cinnamon, and some other bold flavors I couldn’t identify. It tasted like a cool mulled wine. It tasted like a Christmas. While it does scream scream celebration, it might be a bit much as a mixer for me. I’m thinking that this Caribbean specialty might be great boiled down as a glaze for a ham.